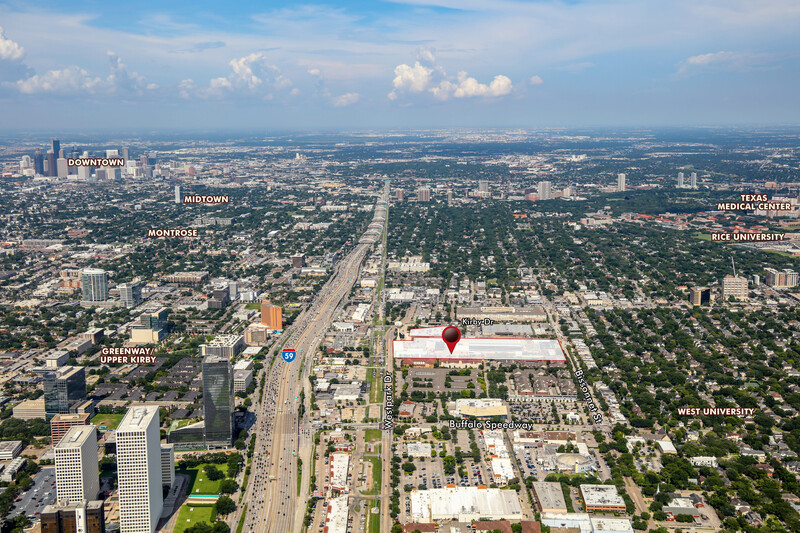 HOUSTON – (Realty News Report) – The Coca-Cola facility on Bissonnet St., considered one of the most potent infill tracts in the Inner Loop, is for sale. CBRE’s Brendan Lynch and Darin Gosda are representing land owner Coca-Cola Southwest Beverages, part of Arca Continental, in the 15.57-acre Bissonnet property. The Coca-Cola bottling plant opened there in 1950. It was a suburban site then. Houston was a smaller place and the city’s population was 596,163. The site is just outside the city limits of the affluent West University Place. And it’s a mile from Greenway Plaza. Between Kirby Drive and Buffalo Speedway. The site is bordered by Westpark on the north and Bissonnet on the south. Specifically, it’s at the northwest corner of Bissonnet and Wakeforest. “The significant interest that we have already received on this property is not a surprise given that it is situated among enviable neighborhoods and employment centers. This is an area that embodies Americana, there are boulevards lined with oaks trees and nearby parks with families enjoying little league baseball. That’s hard to find in a city the size of Houston, making this an exceptional redevelopment opportunity,” said CBRE senior vice president Darin Gosda. The Coca-Cola site includes two tracts. There’s a 14-acre tract at 2800 Bissonnet and it goes back to Westpark with a lot of frontage on Wakeforest. Plus there’s 1.6 acres on the east side of Wakeforest, near Westpark, used for parking. The smaller parcel has unusual restaurant potential because it’s adjacent to Goode Co. Seafood. Other restaurant and bars have spread west of Kirby, near the Coca-Cola site, including Bacco Wine and Spirits on Dincans Street. Photo of the Coca-Cola facility and surrounding area, looking east toward downtown. The Coca-Cola property, which has mature oaks on Bissonnet, will fetch a significant price. The Harris County Appraisal District has placed the value at $56,620,835 for both parcels. But the site won’t be industrial land any longer. It will be much more. The most likely use of the tract is mixed-use with multifamily, retail, restaurants and possibly a hotel on the Westpark frontage. “Given the exceptional demographics and easy access to the major traffic corridors such as US 59, the West Loop and Westpark Tollway, this is a prominent address for a premier mixed-used development. You have key Houston districts within a ten-minute drive, including Upper Kirby, River Oaks, the Galleria, and Texas Medical Center,” said CBRE senior vice president Brendan Lynch. 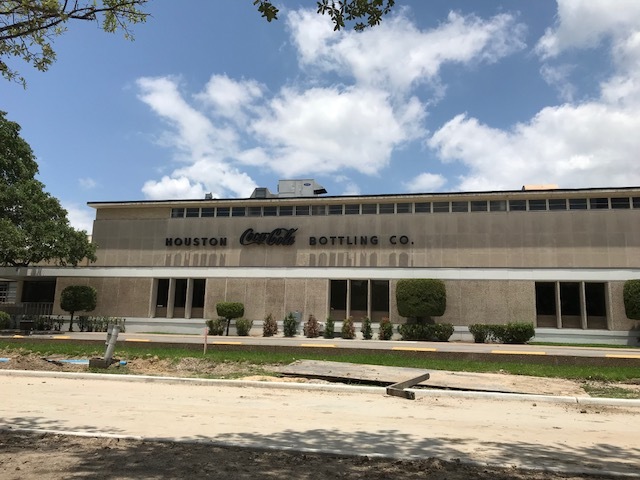 The site is becoming available because the Coke bottler has acquired a large tract in Hines’ Pinto Business Park in north Houston. It will spend $250 million to build a 1 million- SF Coke plant up there. That means the old Coca-Cola plant on Bissonnet Street will became expendable after 70 years of service. Hanover Co. and Martin Fein Interests already have multifamily developments within a quarter mile of the Coca-Cola site. The Coke site is a rarity. There aren’t many industrial properties remaining in this part of Houston, unless you count the Houston Chronicle facility, where they slosh around a lot of ink. A footnote: The Coca-Cola bottler is also disposing of five industrial properties, totaling 396,000-SF in Houston, Conroe and Channelview. CBRE’s Glynn Mireles is assisting in marketing those properties.